"We saw such success with our earlier sensor systems, but because they are calibrated systems they really need to be installed at the factory level. 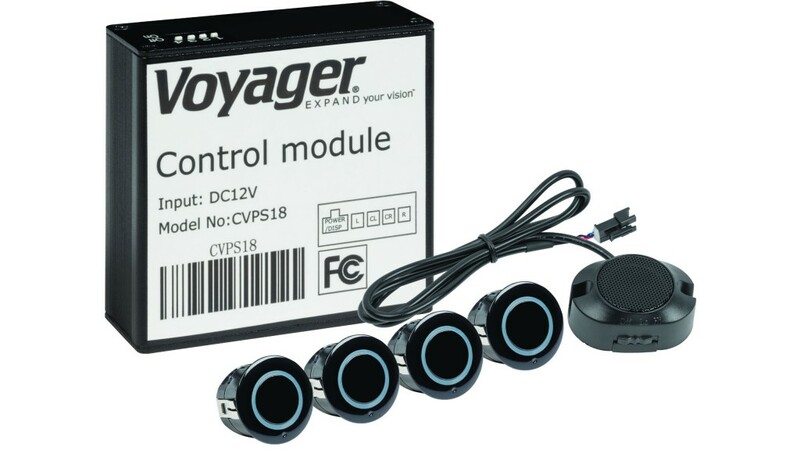 We wanted to create a sensor system that could make this important safety feature more accessible to our customers," said ASA Electronics Vice President of Commercial Vehicle Division, Joe Camacho. The CVPS18 sensors are designed to detect objects within a five-foot range of the rear bumper without requiring any calibration to aid in backing up or parking the vehicle. When the vehicle is in reverse, the sensors will trigger a speaker in the cab to emit an audible alert if an object should happen to get too close. As the vehicle continues to back up, or as the object moves closer, the beeping will get more frequent. If the object comes within 16-inches of the bumper, a solid tone will sound. Audio speaker has three volume levels, low, high and off, to suit driver preferences.